Taqueria Santa Cruz has been proudly serving great tasting authentic Mexican food to the Santa Cruz community since 1991. Taqueria Santa Cruz is family owned and operated. 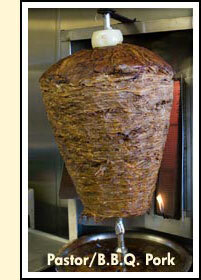 Taqueria Santa Cruz is available to cater events of all different sizes, from 20 people to 400 or even more. For our catering menu we use all of the same fresh ingredients that we use in the restaurant. Expect to get the same high level of service and great taste as you would in both of our Santa Cruz locations. We even bring our own plates, utensils, cups and napkins so you won't have to worry about a thing. And of course our famous chips and salsas are included with all catering orders.